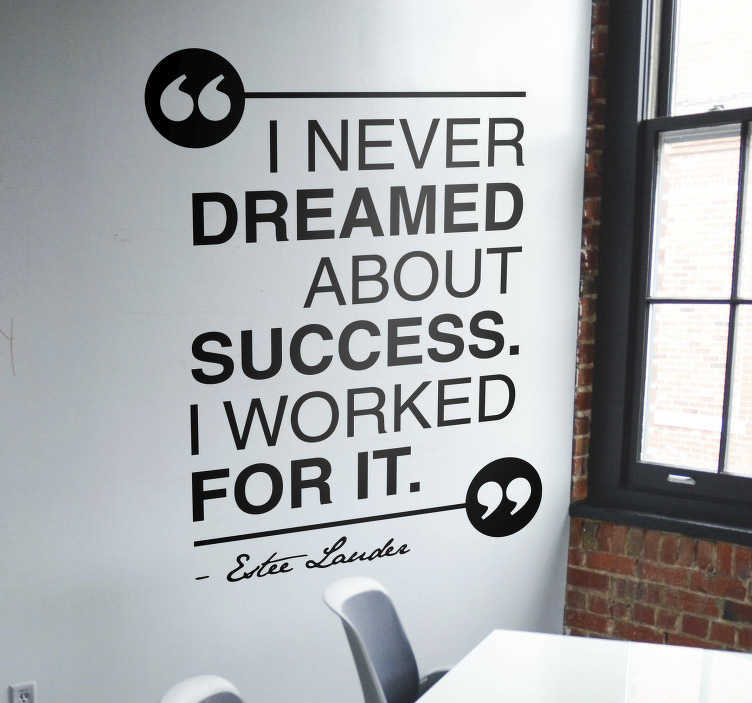 ´I never dreamed about success. I worked for it´. Estee Lauder is not universally known for such salient quotes, but she has produced an absolute beauty here, and one that we simply had to put in a wall quote sticker! Ideal motivational decor for those who need that extra push!